When you start to appreciate food, you will start to appreciate the art of cooking. As a matter of fact, many people who love food will love cooking because tasting and swallowing the food is only part of the gastro-journey. Understanding each ingredient and learning the tricks of cooking them are far more interesting than just eating it. I am not really a gourmet, and I have no idea why people like to address people like me as gourmet while we only like to eat. I never say that I am very knowledgeable in cookery, and I only enjoy food probably in the way you do too. Sometimes, how a chef makes good food intrigues me. You know, say, carrots and chocolate, but you don't know how they can be transformed into a delicious piece of carrot chocolate cake. Cookery is not knowledge of just blending things, but is also a true mastery of time and knowledge in tools besides food ingredients. Also, understanding of cultures and cuisine is very important, and that will link to the knowledge of finding good materials from different countries. You will see that cookery is such a wide subject. A good chef knows more than just good cooking skills. I don't cook often but when I am free during holidays or weekends, I will try to do something myself in the kitchen. I like to make cakes and this time I try soufflé. It is a relatively easy dessert because you don't need any flour for this, but you have to be so careful about each step so as to make sure the soufflé will rise in the oven. I only made three this time to test, and it tasted good but very soon it collapsed out of the oven for 5 minutes. I realized the problem: I forgot to stir the mixture in the pan over the fire, and so it was a little too liquid and thus couldn't rise high enough. 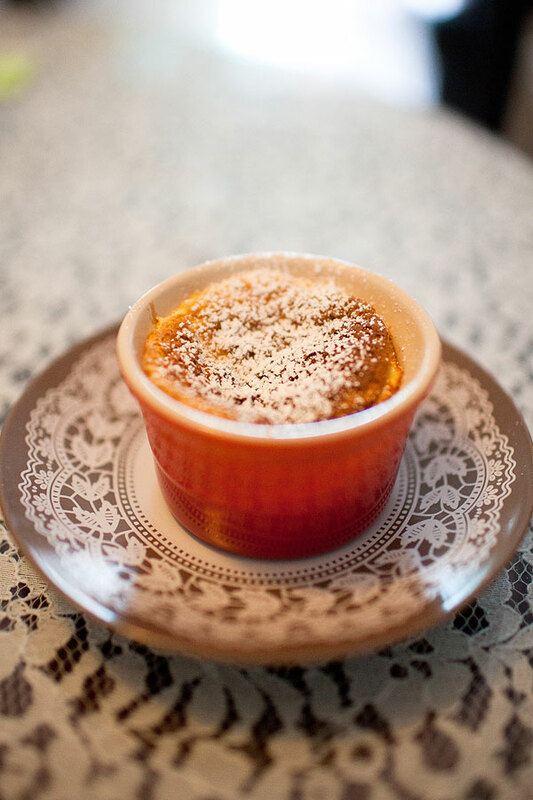 It is a really good lesson for me, and at least the three cups of soufflé were edible. Actually, much more than edible! This is the video I was looking at before I did the soufflé, which is pretty good. 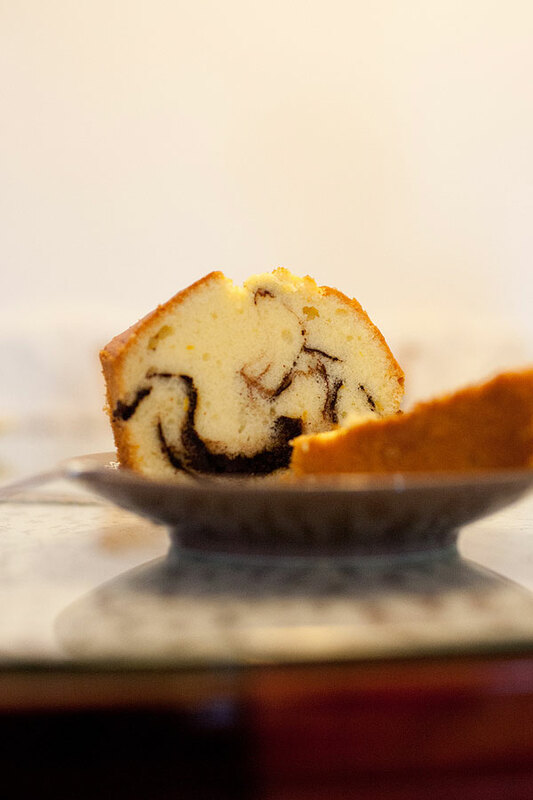 That afternoon I didn't stop and made this orange marble cake. 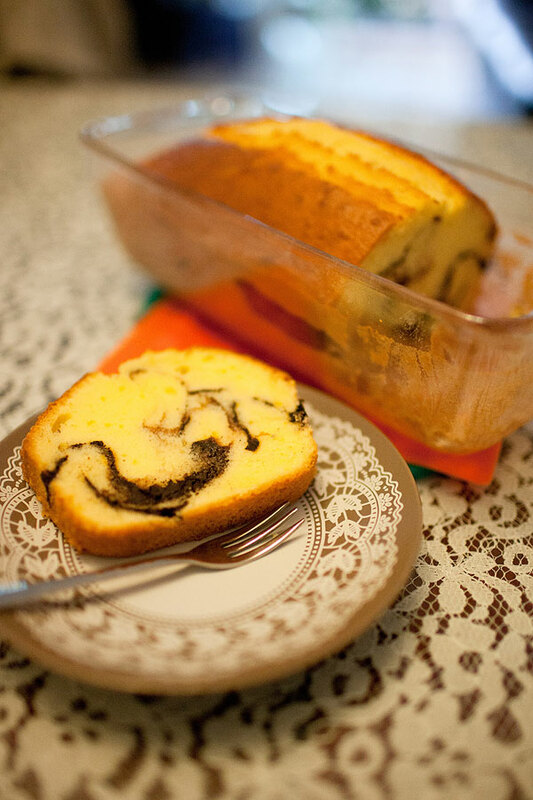 Pound cakes are probably one of the easiest cakes to make, and they are perfect for my warm-up exercise. I followed the recipe closely and I have no tips on this, to be frank. To make the marble layer, I separated the batter into two. One fifth was mixed with cocoa powder while the remaining with orange juice and grated orange zest. When I poured the orange batter in the baking pan, I filled only half of it and then added the chocolate part. I used a knife to make a zip-zap pattern over the cake to create the irregular patterns. I repeated the same for the upper half of the batter and that's it.